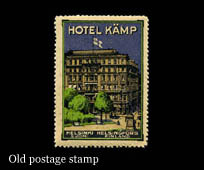 The history of Hotel Kämp, opened in 1887, has over the years been entwined with the history of Finland. 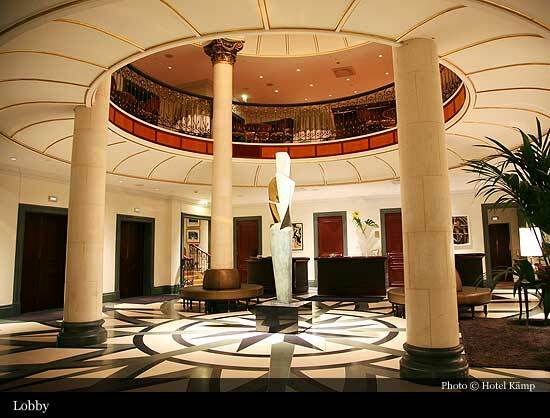 The hotel's walls have seen many of the country's prominent people sketch out the young nation's identity, make important political decisions and significant business deals - not to forget the magnificent parties. 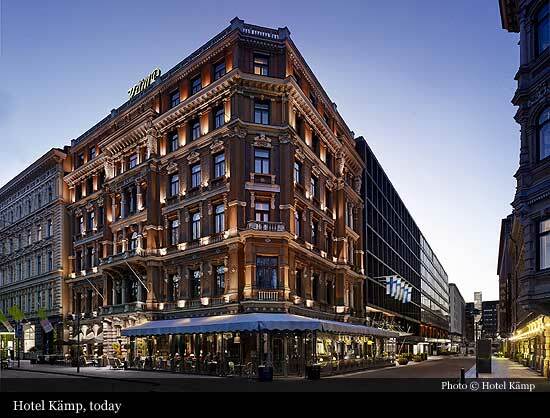 Kämp has also seen difficult times, but has risen back to its rightful position as the most magnificent hotel in Finland. 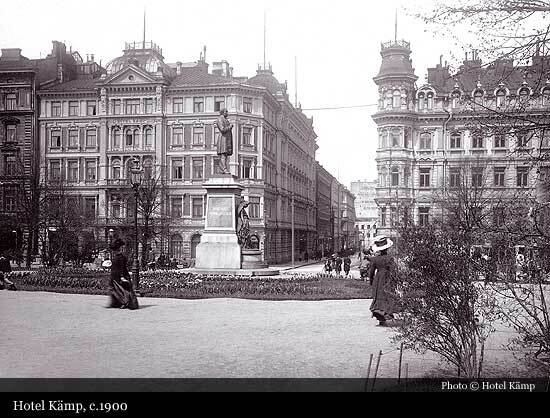 Hotel Kämp was founded by the famous restaurateur Mr Carl Wilhelm Kämp (1848-1889). 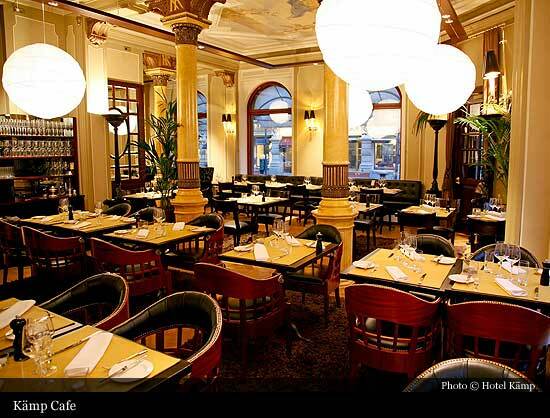 The head of many popular Helsinki restaurants wanted to create a hotel to match continental standards. The cost estimate was in the millions. 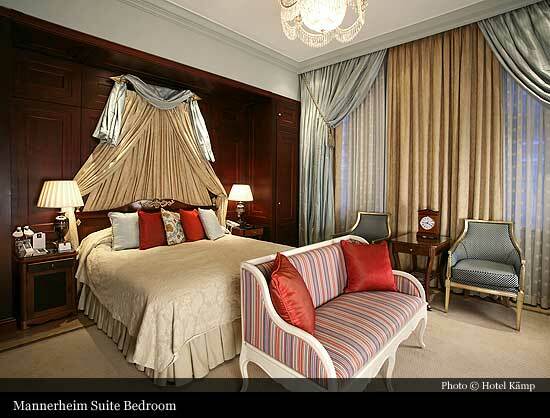 The grand opening of Helsinki's first luxury hotel took place in 1887. Comments from members of press attending the service eulogised that no cost had been spared in the décor and choice of materials. However, Carl Kämp did not get to enjoy his success for long, as he passed away suddenly in 1889. 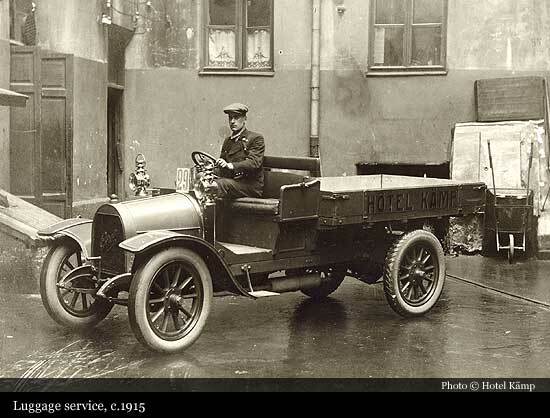 Responsibility for the business was transferred to a new company, AB Hotel Kämp, in 1890. 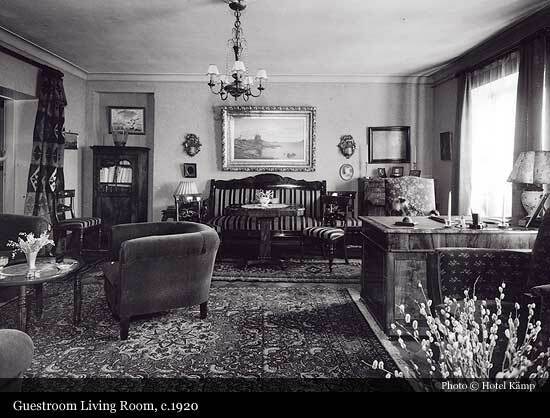 In the beginning of the 1900's, Kämp's atmosphere and clientele were most international. 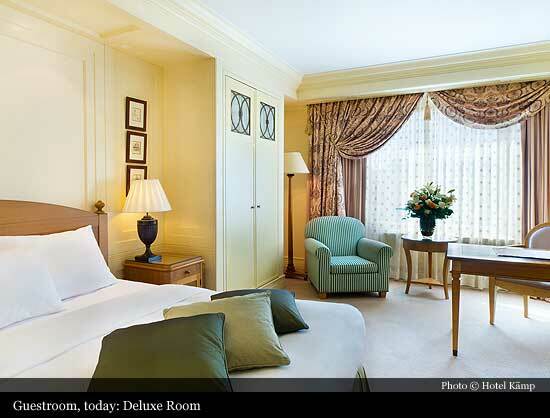 The hotel's regular customers consisted of established leaders of business, politics and culture. 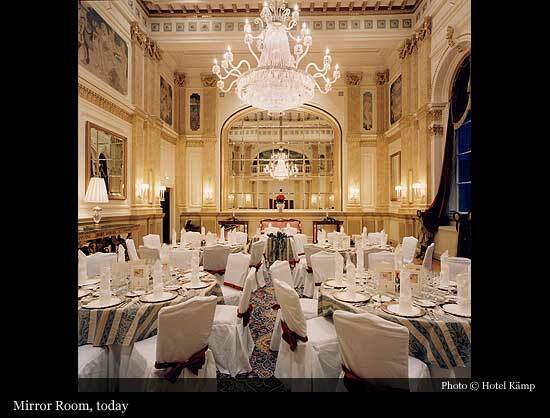 Hotel Kämp’s cabinets and the legendary Mirror Room have provided the setting for many an important decision, as well as some unforgettable parties, from decade to decade. 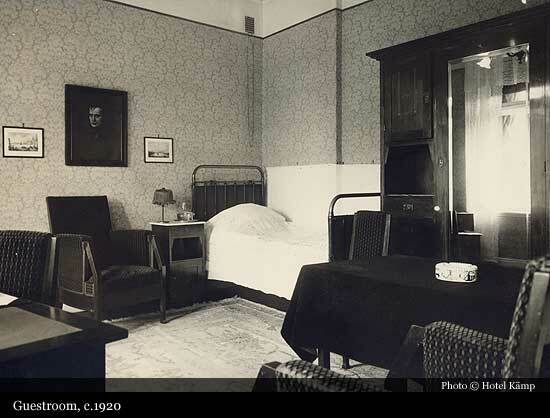 The best-known regular of Kämp is probably protector and Marshal Mannerheim, who stayed in a suite facing Pohjoisesplanadi in 1919. 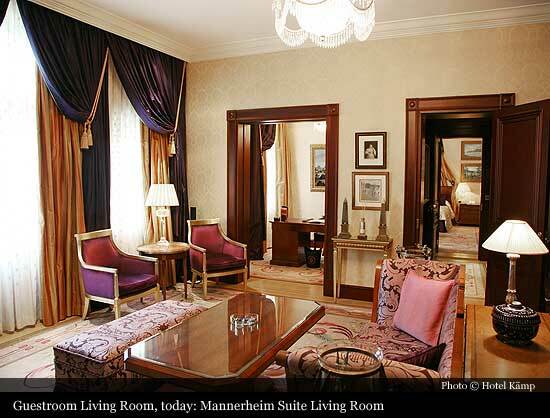 Today, the pride of Hotel Kämp is the Mannerheim Suite, which is named after him. Kämp Café located on street level is a grand café type café-restaurant, alive and bustling from morning till late at night. 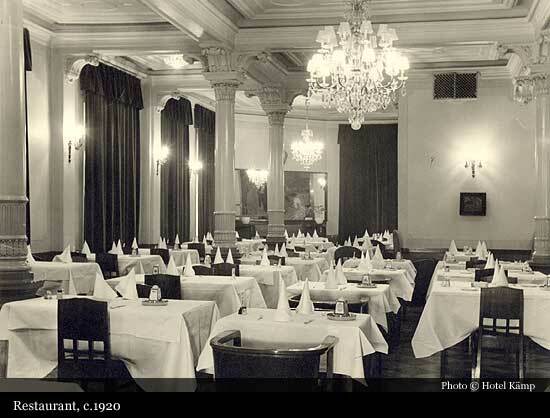 Once known as Lower Kämp (”Ala-Kämp”), the restaurant was the meeting point - and the place to be seen - for the era’s prominent people for over 70 years, from 1891 to 1965. 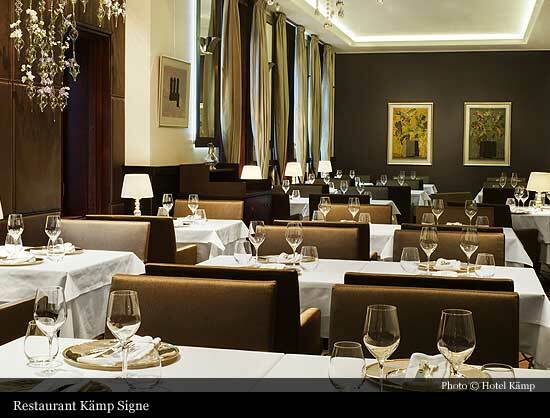 The august history received a worthy successor when the renovated Kämp Café was opened in 2006. A bank located in the property next door, Kansallis-Osake-Pankki, bought AB Hotel Kämp's shares in 1917, but the hotel and restaurant operations continued. In the 1950s, damages were found in the structures of the building, which in the end forced Hotel Kämp to interrupt its operations in 1965. KOP had the building repaired but could not find an operator to continue the hotel business. 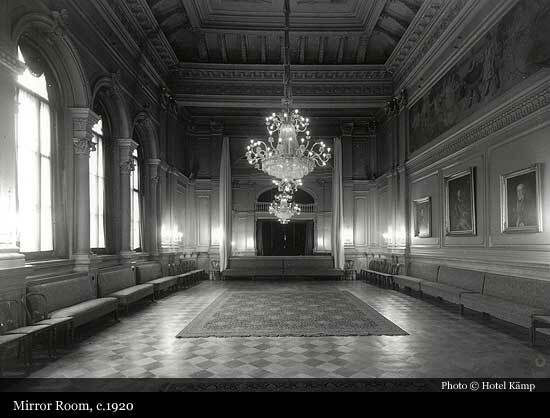 Therefore, the building was converted into bank use for three decades. In the 1990's it was time for some good news: the building, which had become redundant in connection with a bank merger, would return to hotel use. From the beginning, the objective was to build Kämp into the best hotel in Finland and in the whole of the Nordic area. Its significant history was honoured in the planning work, and old drawings and photographs provided help in the task. The new Hotel Kämp started its operations after multi-phased opening ceremonies on Friday, May 28th, 1999. The public welcomed the reborn legend with open arms.